T.F. 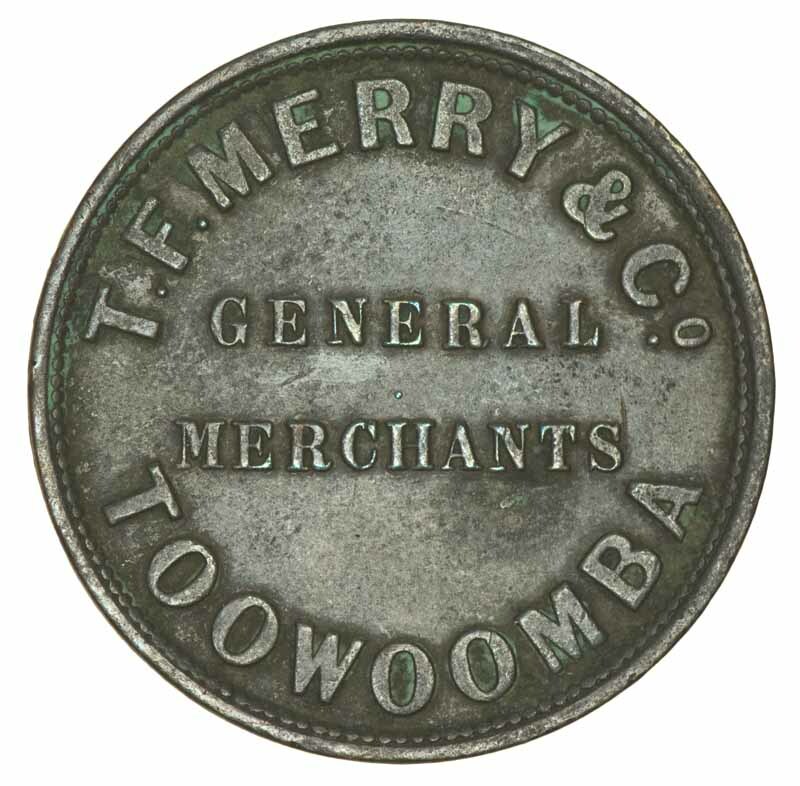 Merry & Co, General Merchants, Toowoomba, Queensland 1d Token F. A of Toowoomba clear of S of Merchants and L of General over TS of Merchants. 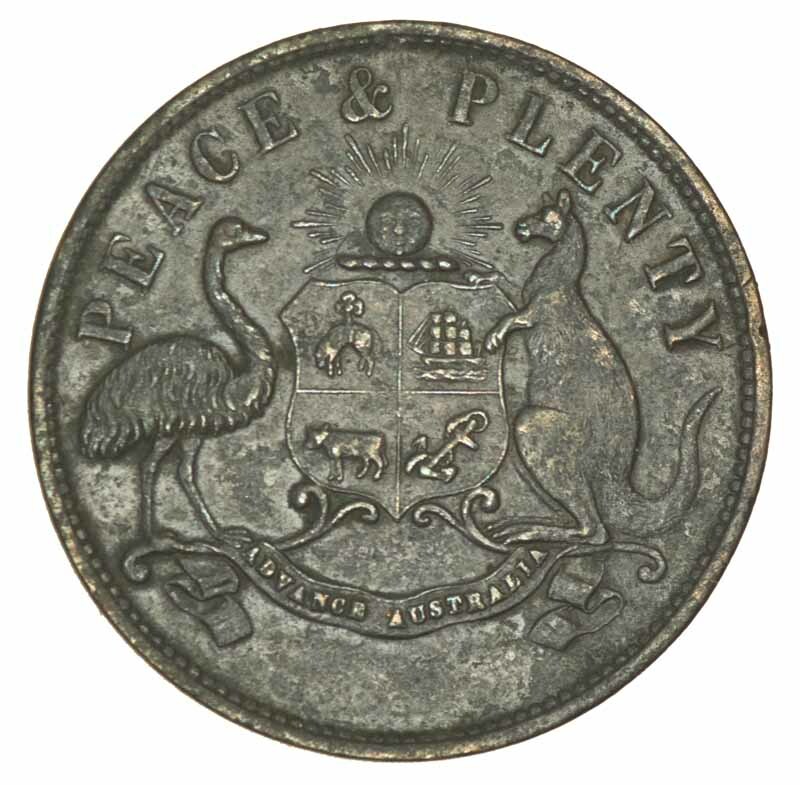 Dark tone, obverse with minor verdigris. Circa 1863. Renniks 358. Rarity R7. 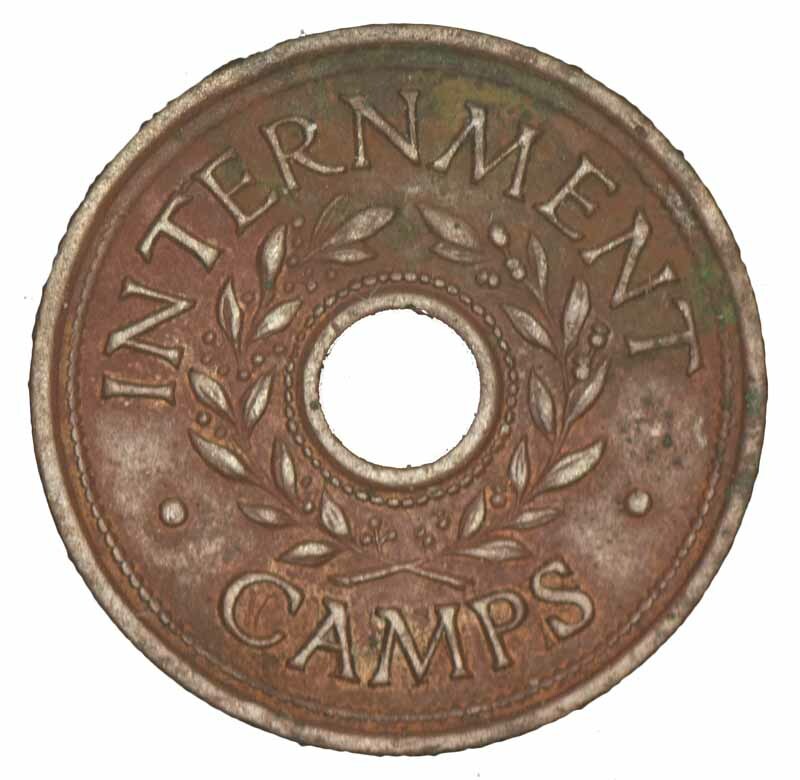 1941 Three Pence Die Type 1 with Camps over Camp. 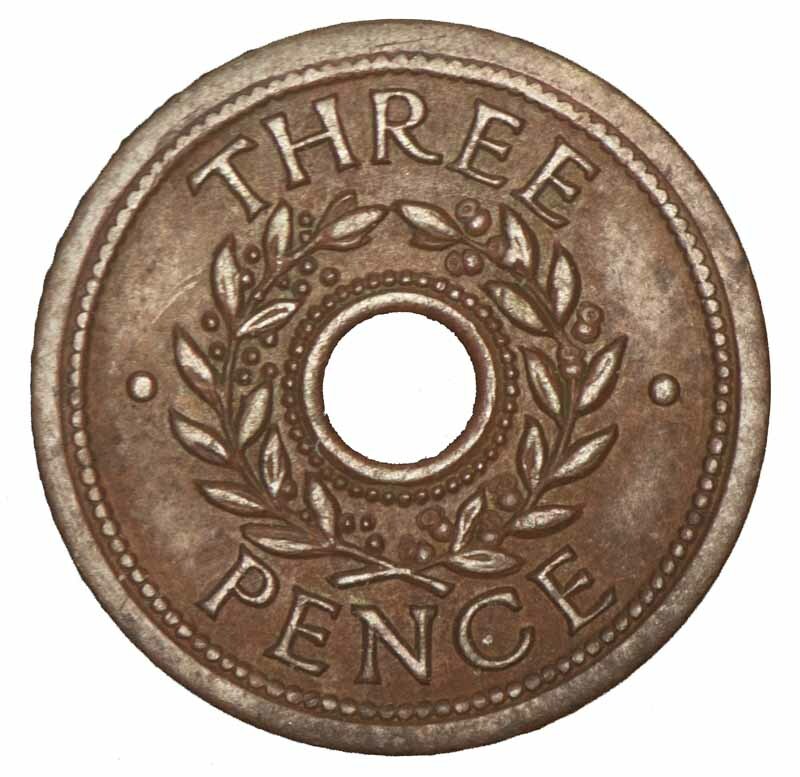 An attractive example that would grade aUnc but for a trace of verdigris on the obverse. 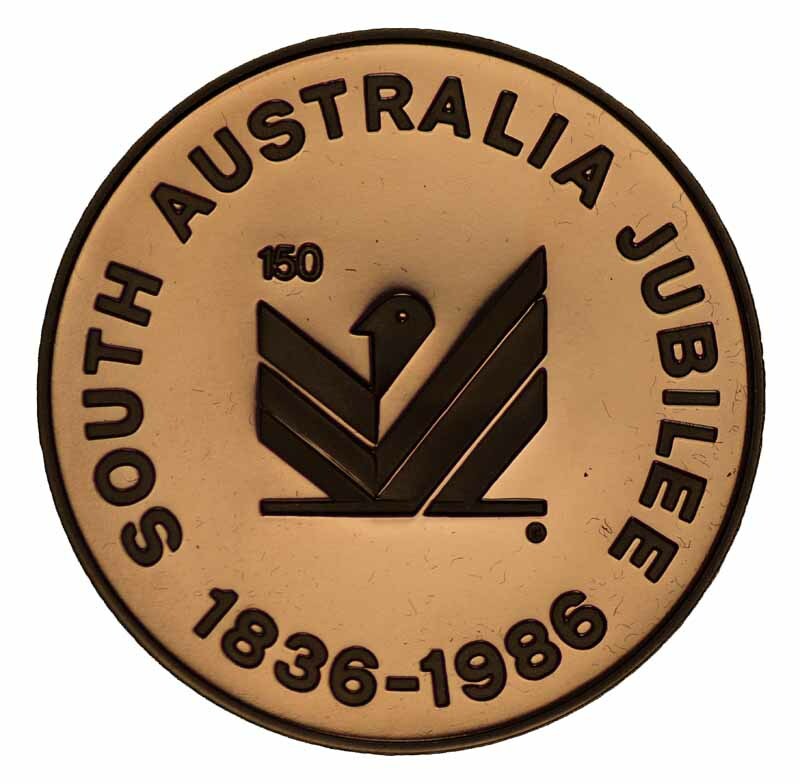 1986 South Australian Jubilee Gold, Silver and Bronze medallion set, produced by the Royal Australian Mint, for the 150th Jubilee committee, in special case, with certificate and accompanying letter from Kym Bonython, chairman of the 150 Jubilee board. 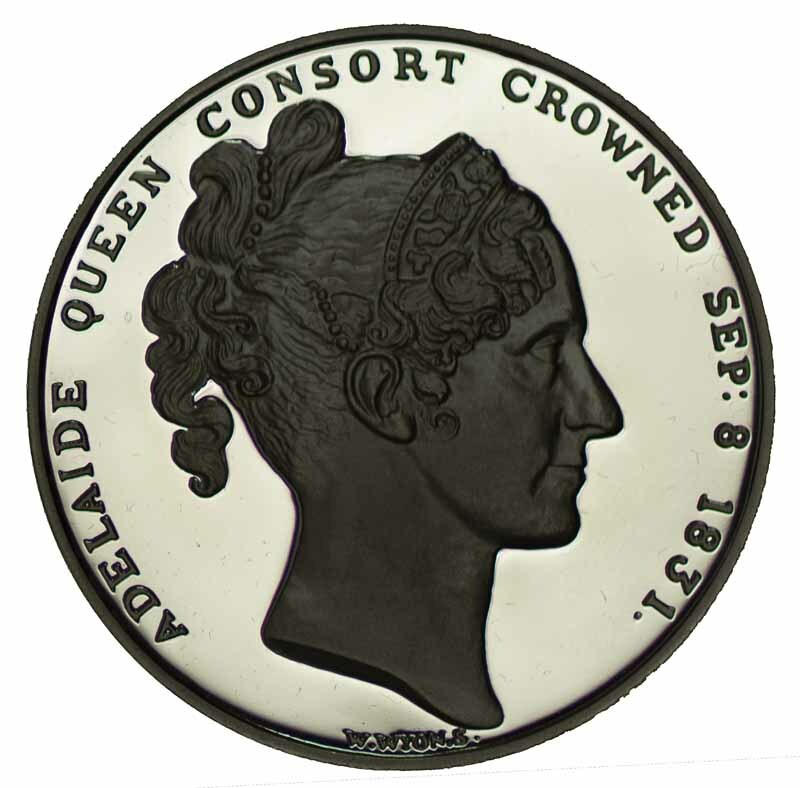 Only 150 sets were produced, with 10 sets presented to dignitaries and the remaining 140 offered in a heavily oversubscribed ballot, for an initial cost price of $1,200.00. 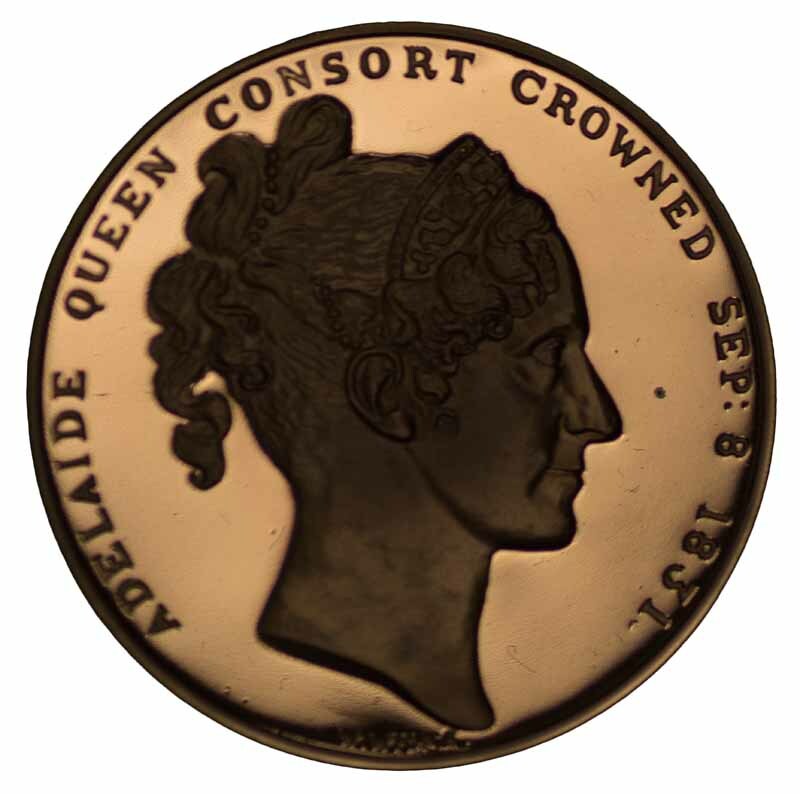 The reverse features the Jubilee 150 logo, while the obverse of the medallions features the effigy of Queen Adelaide and used a cast, struck from the dies used in Great Britain, to produce the Queen Adelaide medallion in 1830. The gold medallion contains 33 grams of 22 carat gold. Carlisle 1986/10. Set No 37. The Australian State Medals Premiers Edition 1976 [Undated] proof set of six in sterling silver [each 31.8g] issued by Stokes for the Franklin Mint in timber frame display with slipcase, The Australian State Medals booklet and certificate. 200 Years Brandenburger Tor 1791 - 1991 set of 24 gold-plated Medallions in special album..
Stalingrad 1943 - 1993 50mm Silver Medallion. Contains 35 grams of .999 of Silver. No 596/5000. 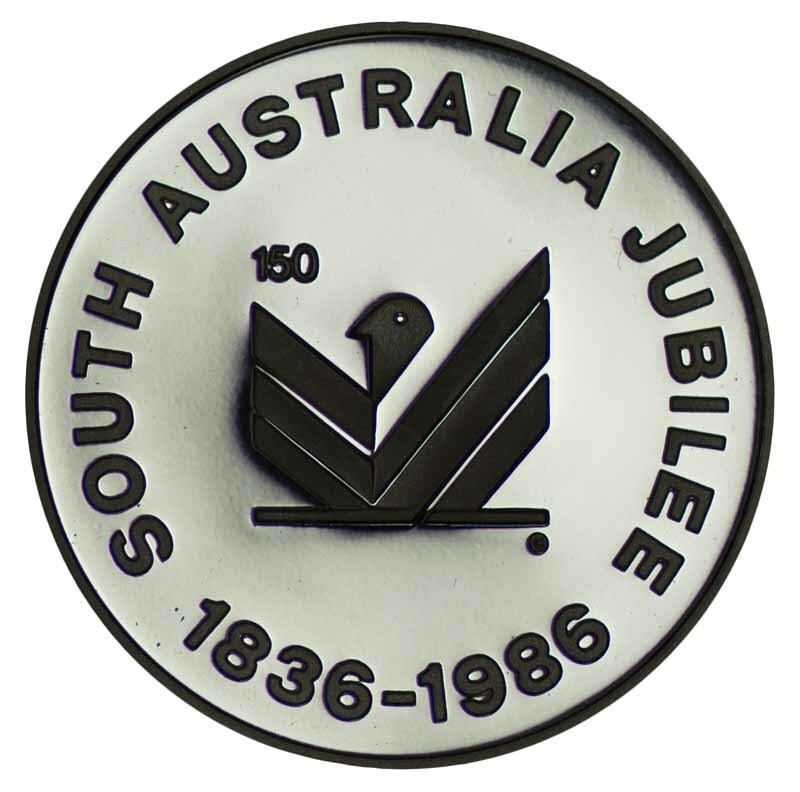 Franklin Mint 1976 International Society of Postmasters Stamp and Medallion covers, each containing a Sterling Silver Medallion (6) and 1976 75th Anniversary of Federation Australian State Medals for New South Wales showing Sydney Opera House and a Waratah containing 1oz of Sterling Silver.